Some of the apps that you have on your iPhone have an Apple Watch app, too. Depending on the settings you have for your watch, those apps may install automatically. 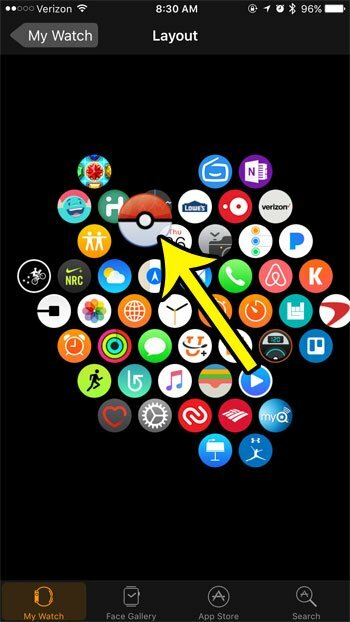 Once a new app is available for the watch, it will be accessible on the watch from the App screen that you find when you press the crown button. But those new app icons will be put into the first location where there is available space, and you might find that you prefer to have your most-used apps in a particular space on that menu. 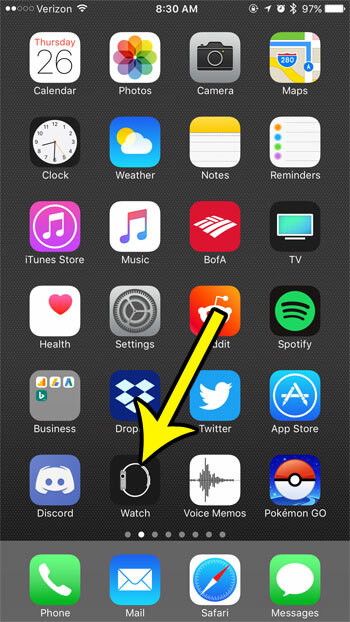 Fortunately you can move around your Apple Watch apps by following the steps below. The steps in this article were performed on an iPhone 7 Plus in iOS 10.3.3. The watch being affected is an Apple Watch 2 using the WatchOS 3.2.3 version. Step 1: Open the Watch app. Step 2: Select the My Watch tab at the bottom-left corner of the screen. Step 3: Scroll down and select the App Layout menu option. Step 4: Tap and hold on the app icon that you want to move, then drag it to the desired new location. 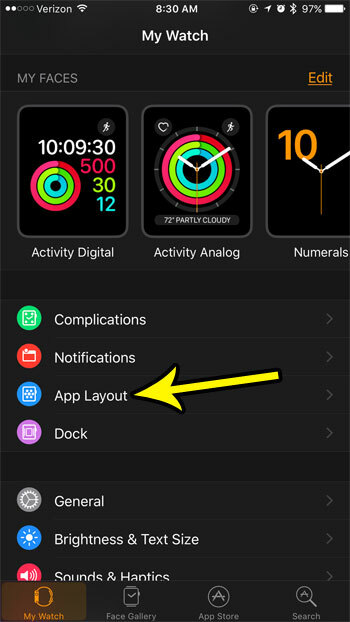 Note that you can also move apps on your watch by pressing the crown button on the side of the watch to get to the app screen, then tapping and holding on an app and dragging it to the desired location. Find out how to stop the Breathe reminders on the Apple Watch if you find that you are dismissing them more than you are using the Breathe feature of the device. Where are the Team Leader Battles in Pokemon Go?